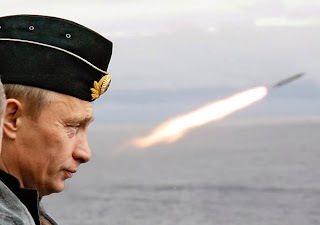 Russian President Putin watches the launch of a missile during naval exercises in Russia’s Arctic North. Across Russia, forty million civilians and military personnel just finished up emergency drills aimed at preparing the general population for nuclear or chemical weapons attacks, the Wall Street Journal’s Thomas Grove reports. 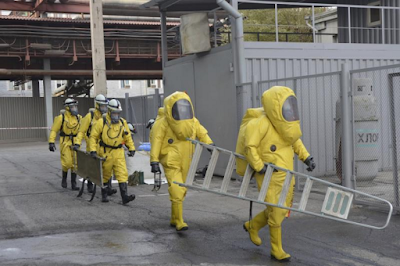 Video shows Russian civilians practicing along with officials and workers in Hazmat suits. 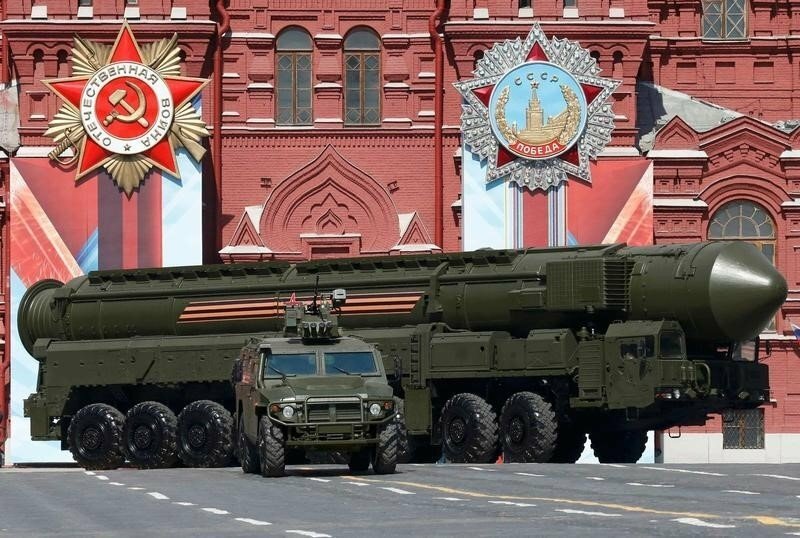 Since the breakdown of US-Russian talks on the fate of Syria, Russia has pulled out of a nuclear non-proliferation agreement with the US citing “unfriendly acts” by the US, it has moved nuclear-capable missiles to its European enclave of Kaliningrad, and it has threatened “asymmetrical” and “painful” actions against the US should it decide to impose sanctions on Russia over Syria. Additionally, Russia’s state-run media has been ratcheting up anti-American rhetoric lately. Indeed in Syria and the Ukraine, Russia has turned away from diplomacy and instead towards military solutions to standoffs with the West. Russia’s recent installation of another missile defense battery in Syria gives the US very few options to intervene without risking serious casualties. 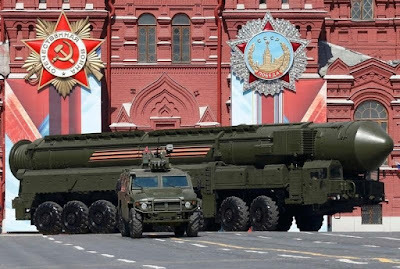 Furthermore, Russia designed its nuclear weapons arsenal as absolute doomsday devices that rain up to ten high-yield nuclear warheads down on targets at Mach 23 in a salvo that the US can’t possibly hope to intercept. n this Wednesday, Oct. 5, 2016 photo provided by Russia Emergency Situations Ministry press service. the ministry servicemen wearing anti-bio hazard suits walk together with a ladder and a stretcher at an undisclosed location in Russia. The Russian Emergencies Ministry has launched a sweeping nationwide civil defense drill set to involve 40 million people. The US has long relied on the doctrine of “mutually assured destruction,” or having a spread out, autonomous, and effective nuclear arsenal that would return fire should another nuclear power attack with the intent of deterring any nuclear attacks. However, the Journal reports that Moscow is now taking steps to ensure that 100% of its population would be sheltered from such an attack. Far from matching Russia’s aggressive nuclear posturing, the US has had its attentions elsewhere. The US’s long range bomber aircraft, the most visible deterrent of a nuclear arsenal, have mainly been stationed in the Pacific in response to North Korea’s nuclear aggression.